Order to prove the case that someone is injured in an accident, the attorney must show an injury resulted from a particular act of negligence. It can be difficult prove the injury when the plaintiff has either pre-existing conditions or lives a lifestyle that is an extreme activity or inactivity. This article discusses new technology being used as evidence in these types of cases. In this case, the plaintiff was a personal trainer. She was injured and the defense attorneys are probably trying to claim that because she was a personal trainer, her activity levels were higher than normal. And, as result, some of the degeneration she experienced was likely a result of her job and not the particular injury that is the subject of the lawsuit. To rebut this claim, the plaintiff's attorney is introducing evidence from her Fitbit, a wearable activity monitor. 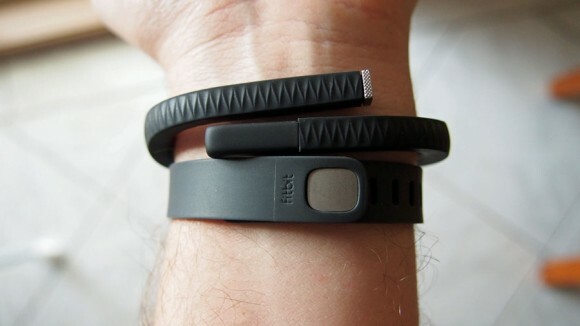 Additionally, the attorney is introducing as evidence of the plaintiff's "normal" activity,an analysis of the data that the Fitbit produced which grades the wearer against the general population. My first thought about this data being used as evidence in a case is on the wary side. It seems to me that those individuals who wear activity monitors are of a certain segment of the population that is perhaps not representative of the overall population. As a result, the data that is collected and the data used as a reference might not be a fair representation or reliable enough to be used for assigning percentiles of the population in certain activity levels. The second thought about this is that it is likely to be used by defense attorney more than plaintiffs attorneys. Generally, plaintiffs attorneys argue that an individual is unable to do a certain activity and as a result deserve compensation. Defense attorneys generally have to rebut that claim by proving that a plaintiff is not injured as they are claiming. In the past, defense attorneys will hire private investigators to surreptitiously videotape plaintiffs performing activities that they claim to be unable to perform. It seems to me the next version of rebutting the claim that a plaintiff is unable to perform certain actions is to look at their wearable activity monitors. For one, it is a cheaper solution than hiring private investigators. Second, the wearable monitors track much more data much more closely and accurately than private investigators would be able. It will be interesting to see how courts grapple with the admissibility of data from a wearable activity monitor as evidence of activity or inactivity and thus a plaintiff's ability or inability.